Whilst we do endeavour for our collection service to remain free of charge whenever possible, there are some situations which will unfortunately prevent this from happening. The reasons for the fee being implemented is multifold. Some of the legal requirements from government, namely the the Department of Environmental affairs, requires us to keep records of all our collections and what has happened to each item for a maximum of 5 years, further to this is the POPI (Protection of personal information act) requirements which were implemented recently which have added to our workload considerably. Non compliance with legislative requirements could carry maximum penalties of 15 years in jail, or up to R15million fine, or worst case scenario, both! There has also been a massive decline in certain facilities ability to deal with the lower value fractions of e-waste and we are investing in research and development in these areas. With the rising cost of living we also need to meet the needs of our employees, and maintain the trajectory of growth without compromising on our compliance or work ethic. In closing, we will always try to void the fee whenever we can if any of the following criteria are met - if it is convenient in terms of our logistics (if we are in the area already), qualifying amounts of e-Waste (in terms of volume) or qualifying items (in terms or refurbishability). Also if collections are dropped of at our site there will be no charge whatsoever. You may either pay cash upon collection, or we can send you an invoice once collection is completed where you may pay via EFT. In what cases will you be charged for your collection? Our minimum weight requirement is 60kg's per collection. With the exception of certain collections which comprise of valuable items ie. Complete PC's, laptops, LCD/LED/Televisions (with no cracks), certain antique electronics. If the collections comprise mostly of printers and/or CRT monitors. This is because their design does not have the end of life in mind, if refurbishment is not possible then manual dismantling and recycling is the only option. Once logistics, labour and safe disposal is completed, the return on the operational costs is negligible in terms of the value extracted. Unfortunately they have less recyclable materials and more plastic, as well as hazardous non recyclable materials, which are actually negative value in terms of safe disposal. There in no end user availability of downstream vendors which deal with the flame retardant ABS plastic and hazardous fractions in this country therefore there needs to be further research and development into hazardous material containment, which we are actively involved in. Should your company require asset verification right off's to be done by us then there will be an ADDITIONAL fee over and above the collection fee as this is a very time consuming process. There is however no charge for Destruction Certificates which are always sent to all corporates and SMME's regardless, and to residentials on request. ​If the items are stripped or disassembled of it's contents and valuables removed. With the exception of hard drives. If the items are not consolidated in one area, or if the area of collecting is distanced from area of loading and/or long flights of stairs etc. then this may require a fee being charged. If your collection was scheduled and we arrive on said date, and there is nobody on site for us to complete the collection. "Thanks guys for the great service, was so lovely to do a clean out of all my old broken electronics and know that they have been dealt with properly. Appreciate your willingness to work around my schedule for collection!" e-waste. What fast , friendly service!" "Thanks so much! I have dealt with you twice ... the first time you picked up some old printers, an old laptop and a bag of electronic cables I have recently bought a laptop from and am thrilled!" "Excellent service!! 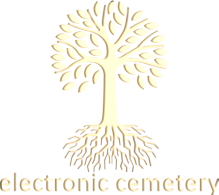 I recently used Electronic Cemetery Services and they were fantastic! Booking my collection on the website was quick and easy, I got confirmation via email within minutes to set up a collection day. Today their team arrived on time, were polite and extremely efficient! I would highly recommend them!!" "What an incredible service !!!!!!!!!!!!!!!!!!! THANK YOU SO MUCH - you have no idea how much you have helped me today, I was at a point of giving up, trying to find a solution to getting rid of old equipment and not polluting my environment. One email and with in 24 hours a truck was pulling up to our gate to take the load off our hands - I will definitely be recommending your company. Thanks again." "What a brilliant service - friendly, efficient and great for the environment. Thank you!" "Extremely fast, polite, proactive and conscientious service - both administrative/comms and the actual removal. Will recommend to all and definitely use again. Thank you Natalie + team! :) "
Fill in our online form to schedule your free collection!